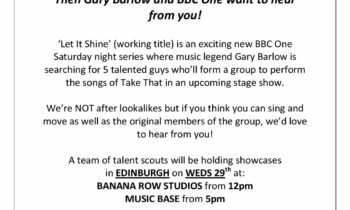 Talent scouts working on ‘Let It Shine’ (working title) an exciting new BBC One Saturday night series with Gary Barlow, Co-presented by Graham Norton & Mel Giedroyc are visiting Edinburgh next week on the lookout for new talent. 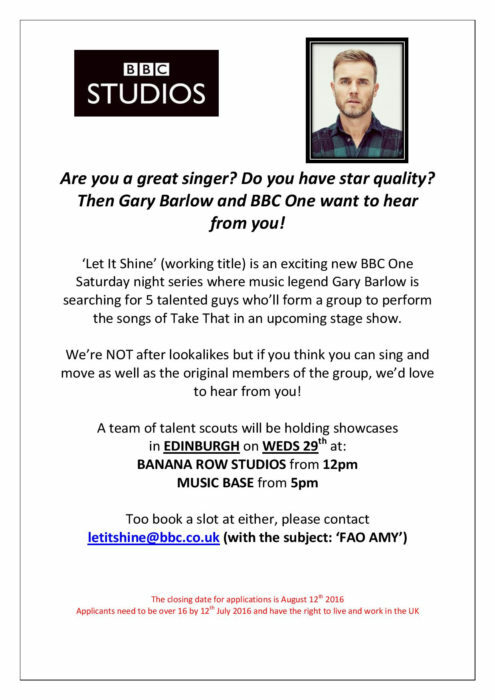 They are searching for guys who’ll ultimately form a group to perform the songs of Take That in a brand new upcoming stage show. Amy Green explains “We’re on the hunt for people who can sing, dance and who have great star quality to apply for the show. 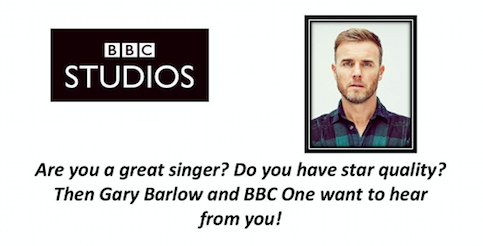 “We’re NOT after lookalikes but if you think you can sing and move as well as the original members of the group, or know someone who’d be perfect- we’d love to hear from you.